2009 Toyota Venza Blizzard Pearl with Ivory Leather 113k miles Options Include: CONVENIENCE PACKAGE (Smart Key Access with Push Button Start, and Power Liftgate), LEATHER PACKAGE (Leather Interior, Woodgrain Interior, 6-Way Power Front Seats, Leather Steering Wheel), COMFORT PACKAGE (Driver and Passenger Power Heated Door Mirrors, Windshield Wiper De-Icer), SECURITY PACKAGE (Rear BackUp Camera, Park Distance Sensors, Anti-Theft Protection), PANORAMIC POWER GLASS ROOF, 20 INCH FACTORY ALLOY WHEELS WITH 4 BRAND NEW TIRES. Contact Kyle Porter at 816-616-2500 or email: kyle@executiveautomotive.com for additional information. 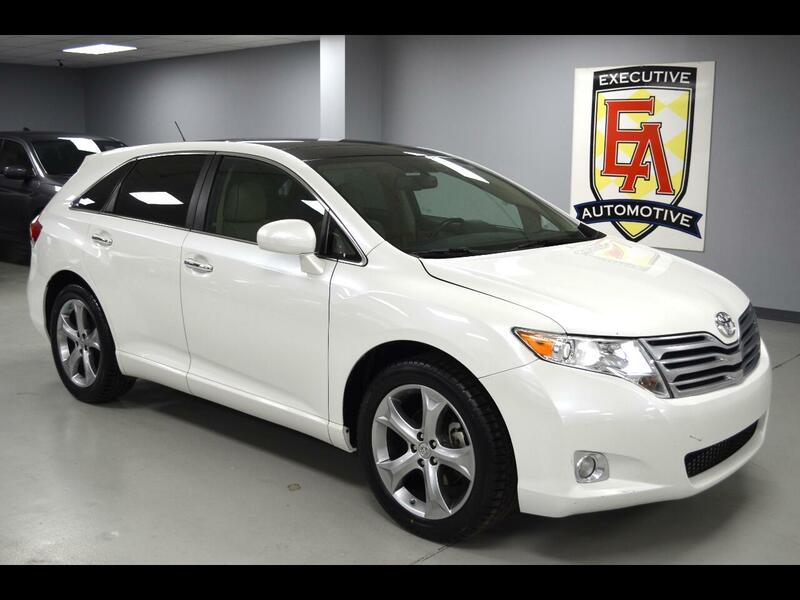 Thanks for your interest in our Toyota Venza!